The incident on Saturday marked the first such deadly cougar attack in the western state in nearly 100 years. 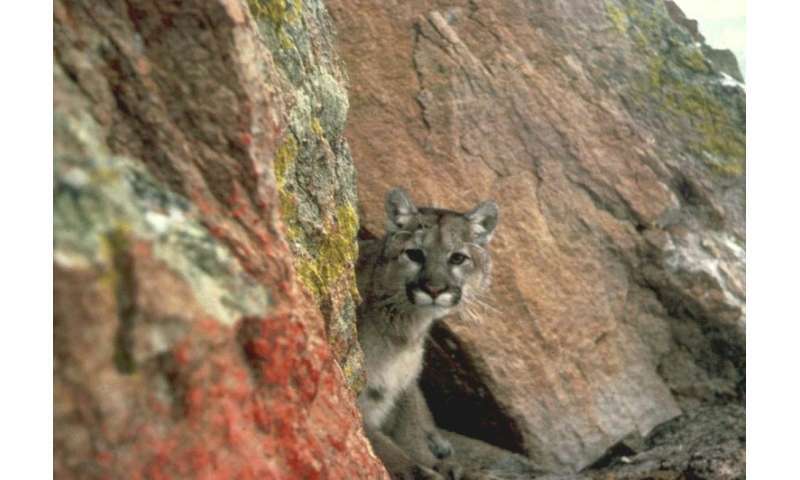 Authorities said the animal that pounced on the two mountain bikers after stalking them was a three-year-old male cougar that looked "emaciated," weighing in at about 100 pounds (45 kilos) when normally it should weigh upward of 140 pounds. "It was skinnier than normal," Alan Myers, of the Department of Fish and Wildlife, told the Seattle Times. He said tests would be carried out on the brain of the animal, which was shot after the attack, to determine if it was sick. Isaac Sederbaum, 31, the cyclist who survived the attack, told authorities that he and his friend S.J. Brooks, 32, were riding on a remote trail in the Cascade Mountain foothills when they noticed the mountain lion stalking them. Authorities said the two men did everything right and tried to scare away the animal, with one hurling his bike at it. It ran off but returned and pounced on Sederbaum's head. "The cougar had his head in his jaws and was shaking him violently," Myers told the Times. He said Brooks at that point ran off and the cougar let go of Sederbaum and went after him. Wildlife police later found the animal laying on top of Brooks' body. Cougars are common in Washington and as humans encroach on their territory, attacks have become more common. However Saturday's deadly attack was the first in the state in 94 years.